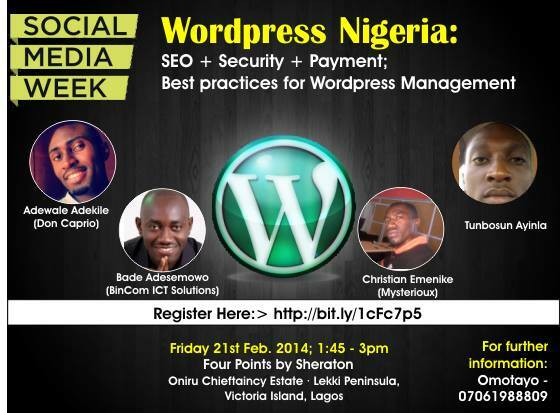 I am pleased to announce the details of the WordPress Nigeria event happening during the Social Media Week in Lagos. Social Media Week is a global event where 8 cities will be hosting events on all things social media. Lagos is the only African city hosting this. 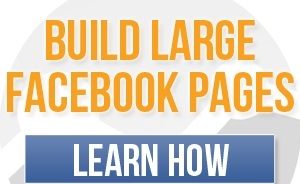 And if you use WordPress, this is an event you need to attend. The theme of the WordPress Nigeria event is “WordPress: SEO + Security + Payment; Best practices for Website/Blog Management“. It’s coming up on Monday February 17, 2014 by 1:45pm there will be live-streaming so it will be great to be there early). The venue of the event is ‎NOKIAEDU‬ hall, Four Point Sheraton; Oniru Lekki – VI Lagos. UPDATE: NO MORE SEATS LEFT. If you want to attend, then you’ll need the VIP Insider Pass.